In his 2015 hit “Shutdown”, Skepta raps about going to a show and sitting on the front row, and today he did just that – at Chanel no less. 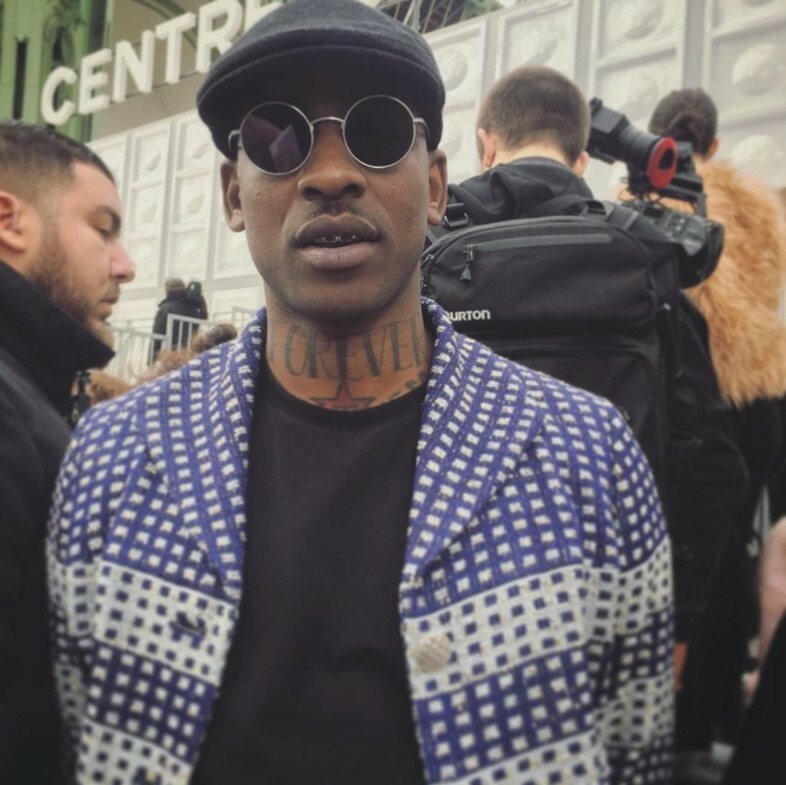 Wedged between Chanel model Lily-Rose Depp and pop singer Rita Ora, the king of grime was among VIP guests at the house’s space-inspired AW17 ready-to-wear show this morning, and while he wasn’t wearing a black tracksuit, he was donning a custom-made blue, black, and white tweed blazer. In fact, the rapper has been very involved in the city’s emerging fashion scene – in 2014 he collaborated with London designer Nasir Mazhar on a collection and, in the same year, took to the catwalk at one of his shows. Head here to read more about Chanel’s AW17 show.